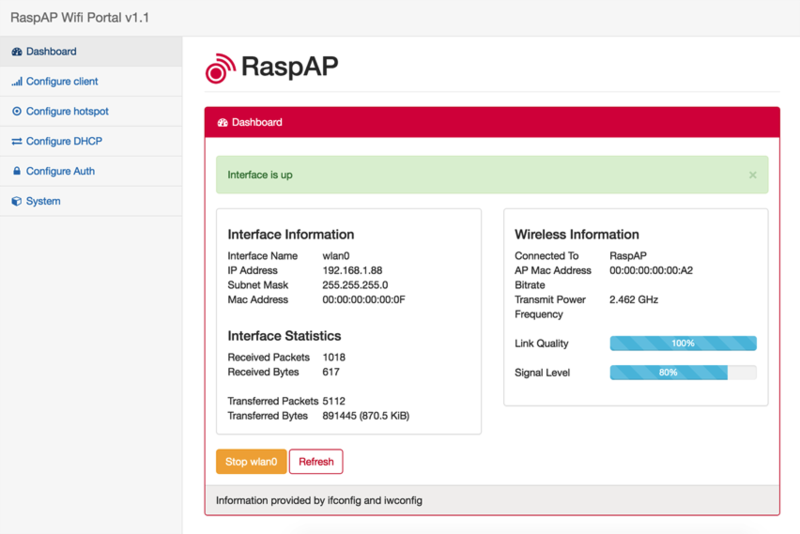 RaspAP WiFi Configuration Portal #piday #raspberrypi @Raspberry_Pi « Adafruit Industries – Makers, hackers, artists, designers and engineers! 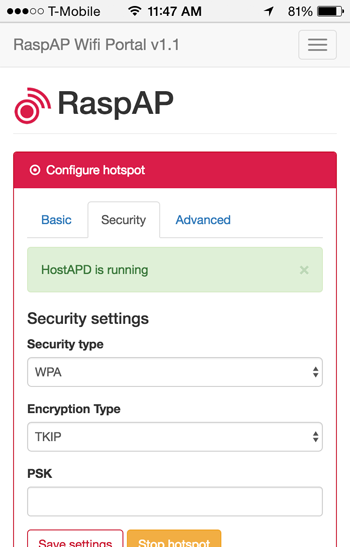 A simple, responsive web interface to control wifi, hostapd and related services on the Raspberry Pi. This project was inspired by a blog post by SirLagz about using a web page rather than ssh to configure wifi and hostapd settings on the Raspberry Pi. I mostly just prettified the UI by wrapping it in SB Admin 2, a Bootstrap based admin theme.